The more I watch the fashion landscape evolve, the more I'm certain that our closets needn't be organized by season or category but instead by decade. The wide leg pant look has me wishing I had held on to so many of the pieces I loved in the nineties when the trend was last in vogue. 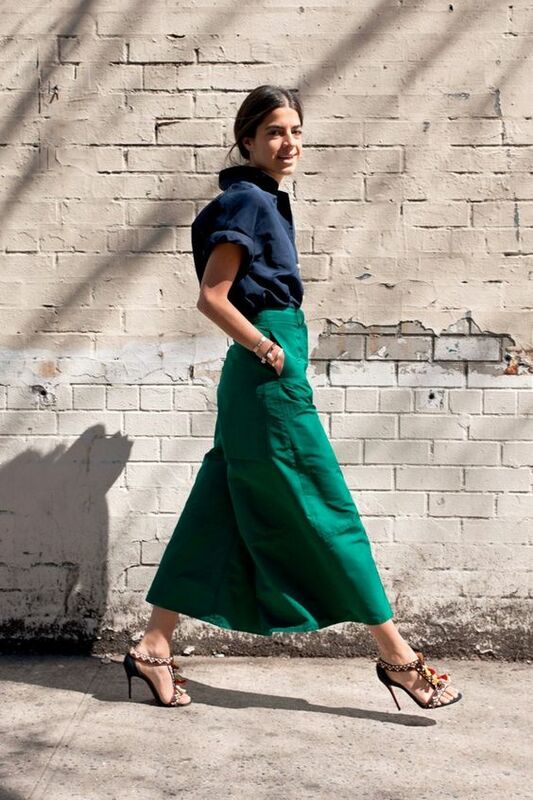 From palazzos to culottes, this silhouette is on my much-loved list. One reason is the way they can be your best friend at the beach one day and take you to a dinner date the next with a simple change of fabric and pattern. Honestly, they're the easiest fitting, hardest working chameleon your closet will ever know. I say join in the trend and grab a pair (or two or three...). Haha, in case you're hoping I'm not kidding I've linked the looks below for you. Happy Monday beautiful!